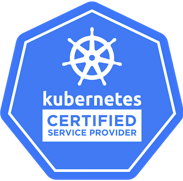 As a Kubernetes certified service partner, we know how to utilise the full potential of containers and Kubernetes. We have gained in-depth practical experience helping our customers transition to a Kubernetes setup. This collective knowledge is now available in our hands-on Kubernetes course for developers. Our three-day Kubernetes course helps software developers get fully acquainted with containers and Kubernetes. In the theoretical sessions, we will explain the basics of container technology and discuss the core components of Docker and Kubernetes. We will also look at best practices for continuous integration, continuous deployment, monitoring, trending and log aggregation. In the practical sessions, you will learn to work with Kubernetes on a live demo cluster. The workshop covers all core features of Kubernetes orchestration, including managing, deploying, scaling and updating container applications. At the end of the course, you will have the knowledge and skills to use Kubernetes with confidence. A typical three-day course covers the subjects presented below. On day three, we will focus on particular subjects that are specific to your organisation's needs. We can always include extra subjects or modify the course duration. » Duration: 3 days from 9 a.m. to 4 p.m.
» Location: Eindhoven, the Netherlands, or on site (minimum of 4 attendees*). » Cost: € 2995,- (ex. VAT) per person including lunch on all days and dinner on the last day. Additional fees (e.g., reimbursement of travel costs) may apply when held on site. » Materials: attendants can use their own laptops with a Linux-based operating system or borrow one of Kumina’s laptops. * When participating with less than 4 employees per company, you will be put on a waiting list, as soon as enough participants have signed up, the course will be scheduled. Ready to learn more or schedule a course? Fill out the form and we will be in touch soon to get the ball rolling.